Our new stainless steel rectangular step can features an innovative 'liner pocket' that stores and dispenses liners from inside the can for a faster liner change. The stainless steel liner rim grips the liner and keeps it hidden. And with no inner bucket, there's more space for trash. Strong wide steel pedal is designed to last, and our patented lid shox technology ensures a smooth, silent close every time. Code F liner refill packs store perfectly in this can's liner pocket. 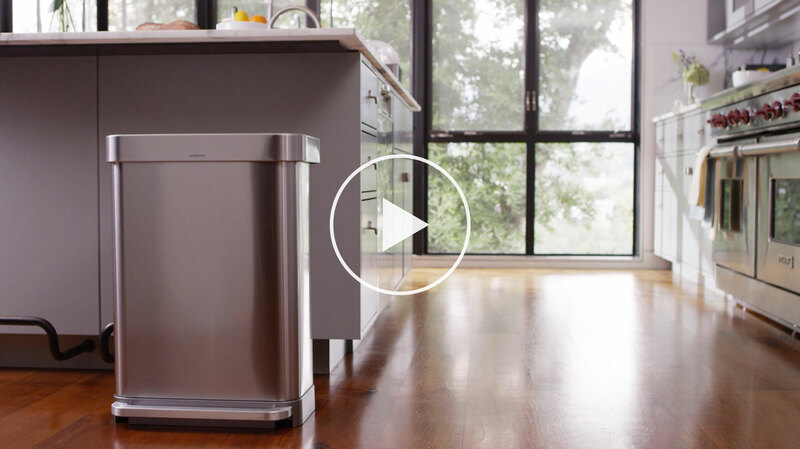 Protects stainless steel from fingerprints and germs. Code F liners are designed to fit this can perfectly and are extra strong to prevent leaks and tears. An excellent quality bin. The pedal is sturdy and very easy to operate. Lifting the rim at the top enables conveniently attaching and concealing any type of liner for use. 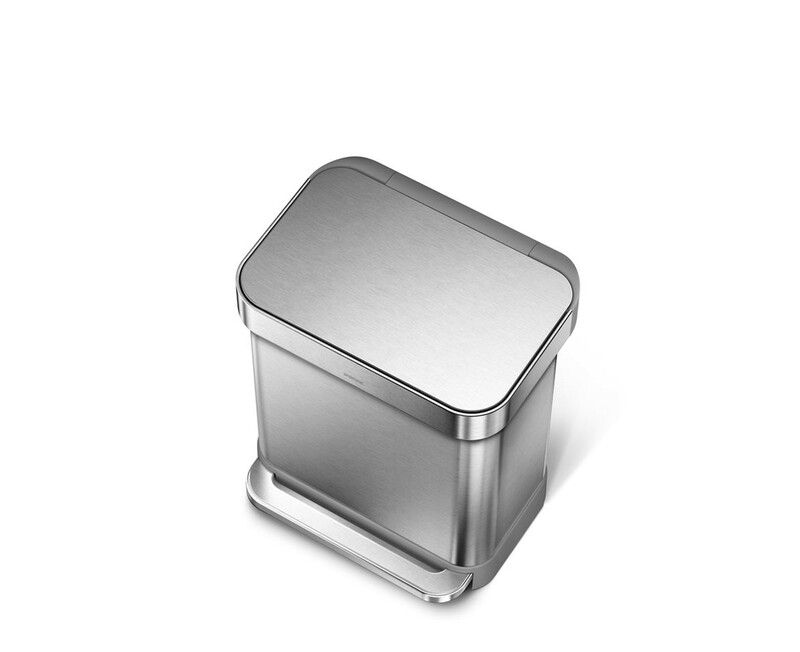 The bin stays reasonably clean for chrome plating and a gentle wipe readily removes dirt. 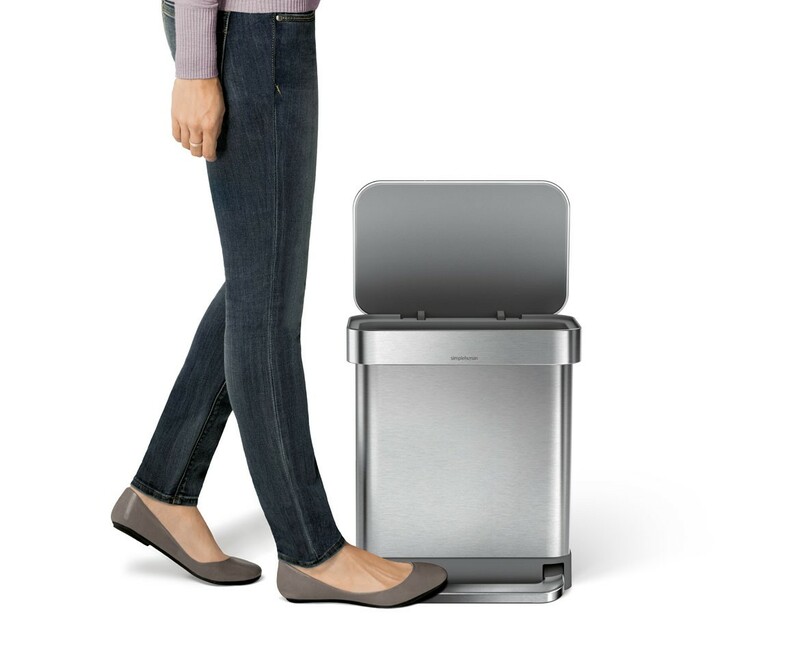 My only complaint is the bin can slowly slide across the floor with use, if not placed directly against a wall. I recently purchased a 55L step can with the liner pocket--loved it so much (and so did my husband since he did not have to hunt for trash bags anymore) that I bought the 30L too! This can is simple, attractive and works very well. Appreciate the soft close feature, and the nice long step. The bags are a perfect fit, and DON'T SHOW. Super easy to change bags and insert new liner packet. The 10 yr warranty is a plus also. Very thoughtful design and well made. The steel is good quality. Cleans easily. No rust and resists denting. Much better than the competing but cheaper can at Lowes. I will stick with Simple Human products in the future. I also have their no-touch soap dispensers and bathroom mirror. They are not cheap but they are all well worth it. Aesthetic, functional and easy to use. By far the best trash can I have ever used. 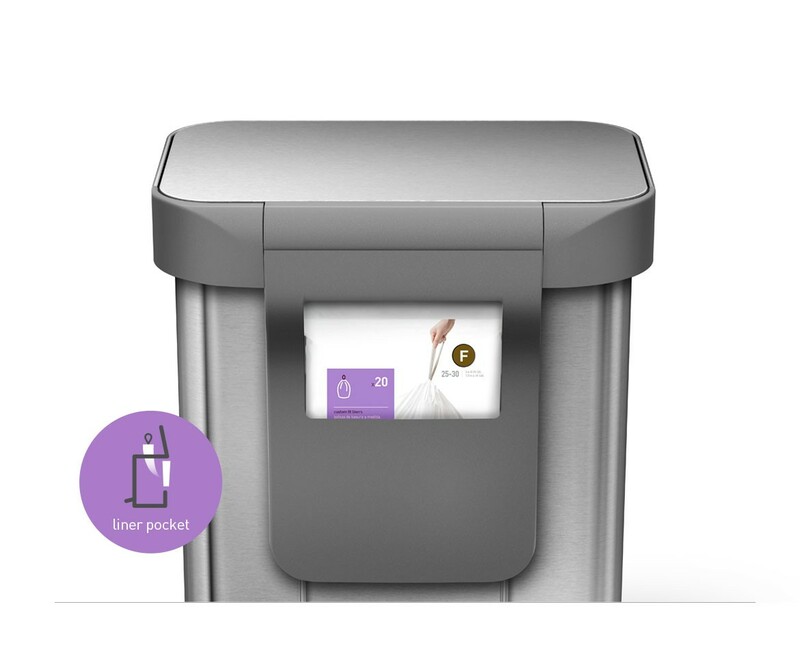 The bin is attractive, well designed and functional. The extra width gives plenty of space for disposing of contents of chopping boards or larger packaging. Liners are easily accessible and easy to fit. Pedal and soft close lid work superbly. Overall a very ggod product. sturdy, well-designed, attractive. what more could you ask for?